The first word -- Dibaajimowin -- in Anishinaabemowin (Ojibwe language) means just a story -- but the first part of the word -- dibaa -- is a meaning-part that suggests its words are measured, thoughtful, observed, judged. The second long word -- Aadizookaan -- means "a traditional story", what anthros and all sorts of people seem to like calling legends or myths. The Anishnabe Migration Story, since it covers several hundred years and includes many stories It goes back to East Coastal Algonquian tribes, and is "still going on now,"
There are three major tribal groups in Michigan today: the Chippewa (Ojibwe), the Ottawa, and the Potawatomi. They comprise what is called the Three Fires Council. This booklet was written to assist students who wish to learn the Anishinabe language. The Anishinaabe people are more commonly known as the Ojibwe/Ojibwa/Ojibway people. To others, they are known as the Chippewa, in which case the Ojibwa name was mispronounced. as "o'chippewa" They are also known as the Salteaux and/or the Soto. 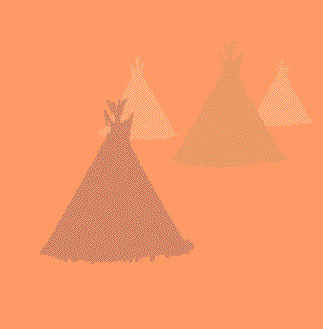 NAT-LANG (1994): Ojibwe language-learning materials available. Resource List for Anishinaabe Educators. Clothing The Omaha Indians wore leggings. - original members of the Iroquois Confederacy in the Eastern United states. - the Polly Cooper Story, the Battle of Orinsky, the Two Row Wampum. THE PANAMINT INDIANS OF CALIFORNIA. BY FREDEKICK VERNON COVILLE . To a traveler passing by rail across our southwestern desert region. THE PIMAN PEOPLE of the Great Basin Desert The Native People of Northern California and Southern Oregon consist of several Tribes, known as the Shasta Nation, the Modoc Tribe, the Wintu Tribe, and the Pitt River Tribe. Potawatomi - Prairie Band - The Potawatomi are an American Indian nation from the woodlands or Great Lakes area of North America. Recognized by the State of New Jersey. Reservation is near Yuma, Arizona and extends into California and Mexico. in Westampton Township, New Jersey. Yuki, Concow Maidu, Little Lake and other Pomo, Nomlaki, Cahto, Wailaki, Pit River peoples formed a new tribe on the reservation, the Covelo Indian Community, later to be called the Round Valley Indian Tribes. The origin of the name, San Manuel Band of Serrano Mission Indians, is the result of Yuhaviatam engagement with colonizing European and American powers. Shasta Nation, the Modoc Tribe, the Wintu Tribe, and the Pitt River Tribe. Siletz Tribe - The Confederated Tribes of Siletz is a confederation of 27 bands, originally ranging from Northern California to Southern Washington. They are a federally recognized tribe located in Lincoln County, Oregon. Sioux - Sisseton Wahpeton Tribe - Dakota art, culture, history, language. Cherokee. The extreme northwestern portion of the State was occupied by Cherokee Indians. Chickasaw. The Chickasaw territory proper was in northern Mississippi, at a considerable distance from the State under discussion, but about 1753 a body of Chickasaw Indians settled on the South Carolina side of Savannah River, to be near the English trading posts and to keep in contact with the English, who were their allies. Before 1757 most of them moved over to the immediate neighborhood of Augusta and remained there until the period of the American Revolution. In that war they sided against the colonists and their lands were confiscated in 1783. Cusabo. Meaning perhaps "Coosawhatchie River (people)." Keyauwee. They settled on the Pee Dee after 1716 and probably united with the Catawba. Natchez. A band of Indians of this tribe lived for several years at a place called Four Hole Springs in South Carolina but left in 1744 fearing the vengeance of the Catawba because of seven of that tribe whom they had killed. Pedee. Meaning unknown, but Speck (1935) suggests from Catawba pi'ri, "something good," or pi'here, "smart," "expert," "capable." Sewee. Significance: perhaps, as Gatschet suggested, from sawe', "island." Chickanee, name for a division of Wateree and meaning "little." Guatari, Spanish spelling of their name. Ahoya or Hoya, on or near Broad River. Aluste, near Beaufort, possibly a form of Edisto. Awendaw, near Awendaw Creek; it may have been Sewee (q. v.). Chatuache, 6-10 leagues north of Beaufort. Mayon, probably on Broad River. Talapo, probably near Beaufort. Touppa, probably on Broad River. Yanahume, probably on the south side of Broad River. squarely at the feet of Christopher Columbus. The Caribbean islands and their inhabitants at the time of discovery in 1492. Details of the food that would have been aboard Columbus' ships and the means which were used to preserve and prepare it. What the Mesoamerican peoples ate. "As Francis Jennings writes in The Invasion of America, 'The Europeans did not settle a virgin land. They invaded and displaced a native population." In his own words, about the voyage and first landfall of Christopher Columbus. In 1492, when Christopher Columbus landed and met his first native Americans, there were between one and 3 million Taino Indians. In 1515 there were 1,500 Taino Indians. and a section about some shipwrecks from Columbus' fleet. He used Columbus' own ship log. Settler-Tsilhqot'in Relations. After the trials the case was closed -- or was it? Canada with First Nations Seeker's Tsilhqot'in Chilcotin page! The corresponding term for a tribe of alien speech would be Waíkehl (“north foreign language”), an appellation which does not exist. WASHINGTON INDIAN TRIBES: reservation and tribal office contact info, BIA listing. Reservations map is GIS access to web info. ... during the 1670s, they may have been the Westo, another mystery tribe. The Wintu & Their Neighbors. University of Arizona Press. known as the Shasta Nation, the Modoc Tribe, the Wintu Tribe, and the Pitt River Tribe. BIA listing. Imagemap GIS access to more info about. ow income persons with cases involving Indian law issues. Primary historic documents about the Wyandot Indians. Includes history, current chief and other members of the Wendat Confederacy. Yuki tribe The Yuki tribe has no connection to the Japanese word of the same name. For an article on that word and places named after it, see Yuki.